B & B Solutions has warehouse and fulfillment systems that are among the most comprehensive and cost-effective in the industry. It can support both single drop ships & complete fulfillment programs. Whether you have 100 different products or 100 different boxes of the same product, we will manage your inventory to supply only the exact amount of product needed when you need it. Utilizing our “pick & pack” feature, you can have small quantities of items sent to one or multiple locations, locally or worldwide. 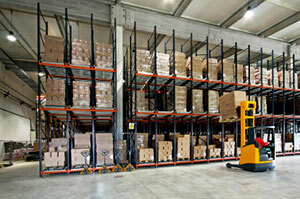 There’s no need to budget large amounts of money to warehouse products at your location; we address that need for you.